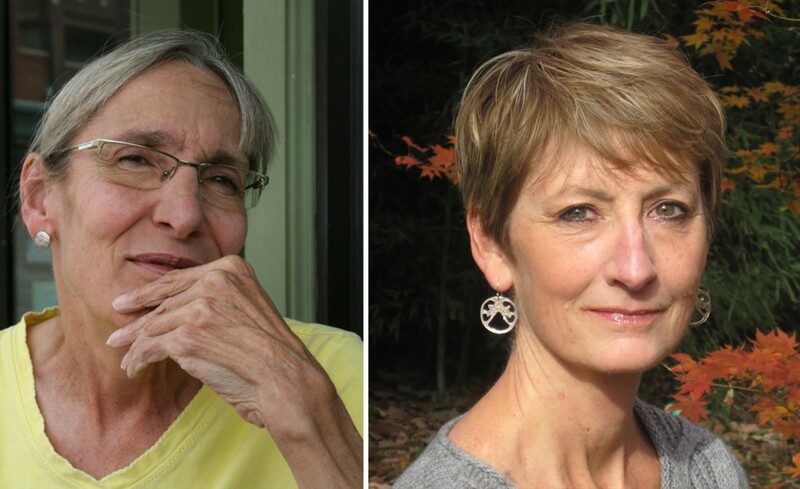 The Word Works and The Writer’s Center present poets Lisa Lewis and Margaret Mackinnon. Café Muse opens at 7pm with refreshments and classical guitar by Michael Davis; readings begin at 7:30, followed by a poetry open mic. LISA LEWIS is the author of six poetry collections, among them Silent Treatment (Viking/Pinguin, 1998, winner of the National Poetry Series), The Unbeliever (University of Wisconsin Press, 1994, winner of the Brittingham Prize), and a chapbook, Story Box (winner of the Poetry West Chapbook Contest). Her latest collection is Taxonomy of the Missing (The Word Works, 2018). Lisa Lewis’s numerous awards also include a Pushcart Prize, an NEA Fellowship, and awards from the American Poetry Review and the Missouri Review. Her work has appeared in Poetry, Kenyon Review, New England Review, Fence, Best American Poetry, and many other magazines and anthologies. She teaches in the creative writing program at the Oklahoma State University and serves as poetry editor for the Cimarron Review. MARGARET MACKINNON is the author of Naming the Natural World (The Sow’s Ear Poetry Review, 2018), winner of The Sow’s Ear Poetry Review’s 2017 Chapbook Contest. Her first full-length collection, The Invented Child (Silverfish Review Press, 2013) won the Gerald Cable Book Award and the 2014 Library of Virginia Literary Award in Poetry. Her work has appeared in Poetry, Image, Hampden-Sydney Poetry Review, Crab Orchard Review, Poet Lore, and New England Review, and many other journals. Other awards include the Graybeal-Gowen Award from Shenandoah, the Cenie H. Moon Prize and the Ellen Anderson Memorial Reading Prize from the Poetry Society of Virginia, and the Richard Eberhart Prize from Florida State University. Margaret Mackinnon lives in Richmond, VA. Attending poets are invited to participate in an open mic that concludes the Café Muse program. The Word Works is a nonprofit literary organization publishing contemporary poetry in artistic editions and sponsoring programs for more than 40 years. The Writer’s Center has been hosting literary programs in the D.C. area since 1976. Coming: Monday, July 1, Café Muse will feature poets Irene Fick and Kevin McLellan.